Ruby Hall, 84, devoted mother and friend, passed away Sept. 6, 2018. She was born to Timothy and Frances Hall July 3, 1934, in Natchitoches. After her return from Houston, she made a name for herself in Natchitoches as an excellent chef. She worked many years in catering at the Holiday Inn, where she retired. 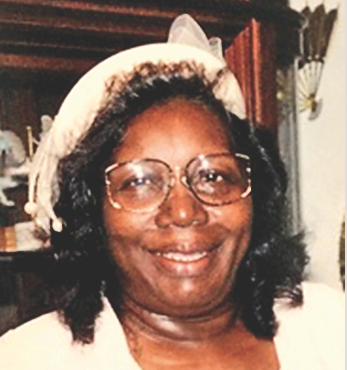 Ruby leaves to cherish her memory: three daughters, Beverly Hart of Houston, Dr. Frances Harris of Lake Charles, Debbie Wardworth (Gary) of Spencer, Okla.; one son, Barry Lampkins of Lake Charles; eight grandchildren: Ronald Harris, Jr., Gary Wardworth Jr., Talisha Harris, Victoria Hart, Jonathan Wardworth (Judith), Elliott Wardworth, Elizabeth King (Bobby) and Candice Hart; fourteen great-grandchildren, two sisters, Dorothy LeBlanc and Gloria Grice both of Houston and a host of nieces, nephews, relatives and friends. She will lie in state from 9-10:45 a.m. on Saturday, Sept. 15. The Celebration of Life will be at 11 a.m. All services will be at My Father‚Äôs House, Natchitoches, where Bishop Alton Hyde is pastor. Interment will be at the Breda Town Cemetery.